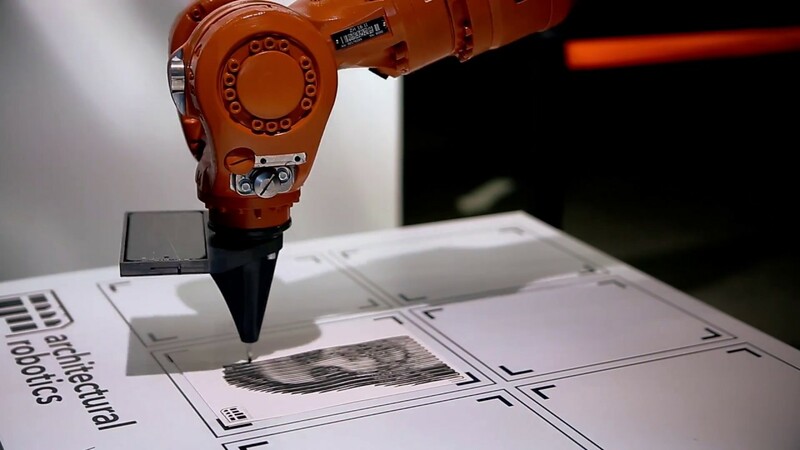 Utilizing the versatility of industrial robots, the application first takes a photograph of a visitor. The photograph is then processed through a custom algorithm which transforms the image based on the brightness value of the subject and generates the path to be drawn with a felt tip calligraphy pen as an end-effector. roboDraw was on display at the Digital 2.0 event organized by Gelecekhane, creating a wall of calligraphic portraits of the visitors throughout the event.